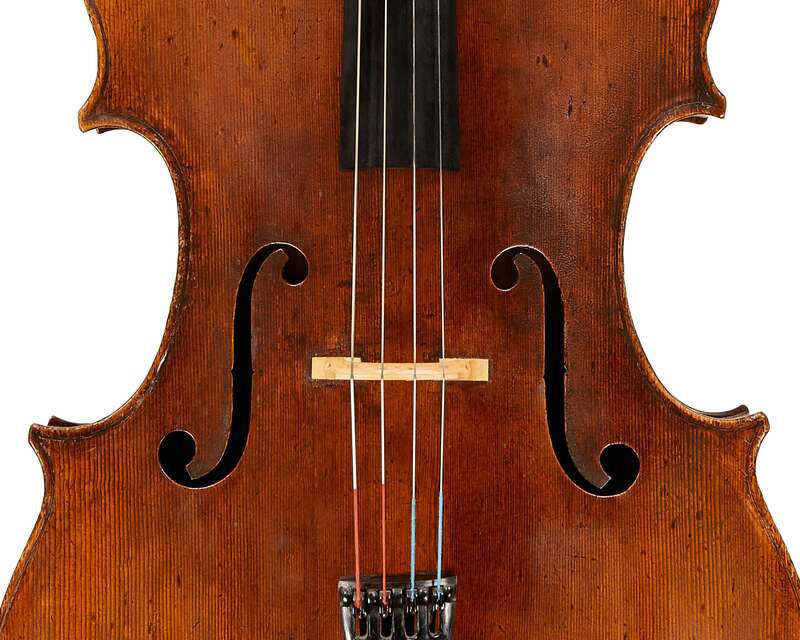 In part 1 we saw how the cello evolved in the 16th–18th centuries through the cello makers of Cremona and Brescia. For the most part, theirs was a homegrown tradition where several generations of family members improved upon each others’ work. The proponents of the Cremona and Brescian schools also tended to be native citizens of those cities. 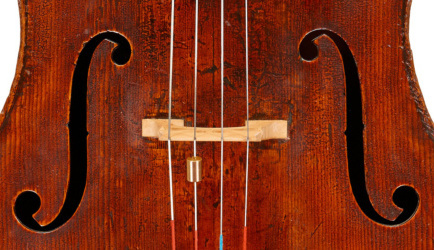 The cello making traditions of many other parts of Italy, however, were built by outsiders. 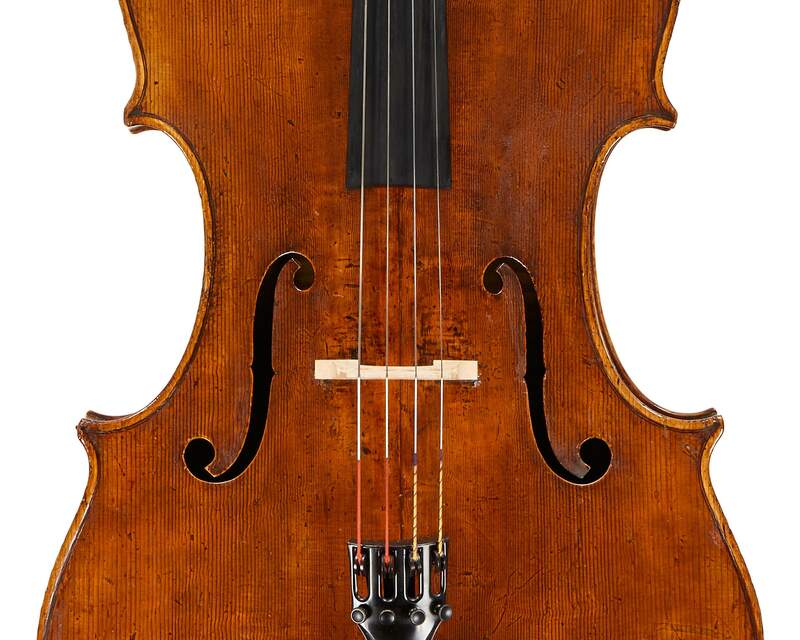 Many of the great cello makers of the Venetian and Roman schools came from the Tyrol or from the northern slopes of the Alps: Sellas, Kaiser, Goffriller, Tecchler and Platner were all relatively recent arrivals from the north. 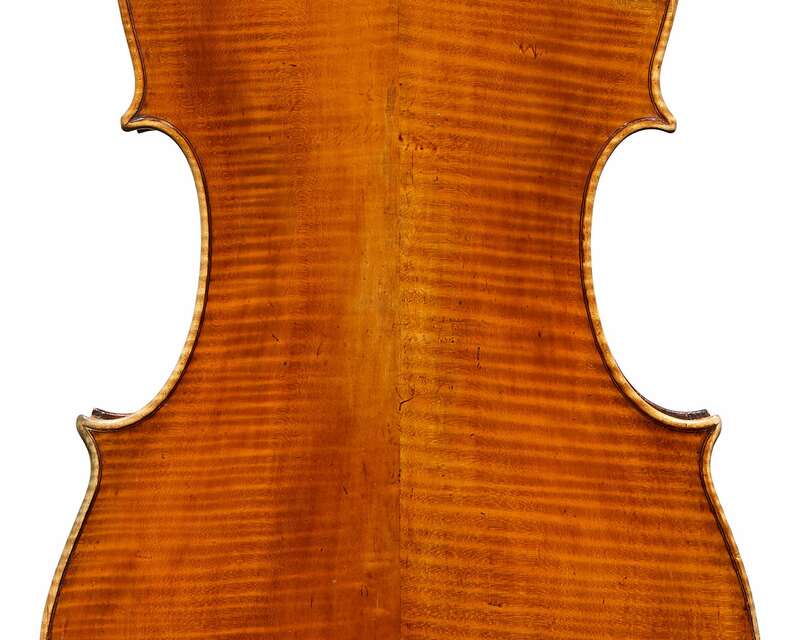 Even the great Venetian cello makers with Italian origins were foreigners in Venice: Montagnana, Tononi, Serafin, and Pietro Guarneri all came from elsewhere in Italy to ply their trade in the Serenissima Republic. The great migration of skilled instrument makers to Italy and other parts of Europe in the late 17th century was largely the result of an excess of talent in the Bavarian instrument making city of Füssen. Situated in the foothills of the Alps, next to a limitless supply of excellent spruce, and along a key trade route linking northern Europe with Italy to the south and Vienna to the east, Füssen had developed into a bustling instrument making town by the Middle Ages. In 1562 the Füssen instrument makers organized into a guild – the first of its kind in Europe – and one of the restrictions was that the city would be limited to no more than 20 violin making workshops at any given time. Naturally this led to the exodus of many talented makers and started the greatest labor migration in the history of violin making. Füssen makers went as far afield as Cremona, Vienna, Paris, Rome and Naples in search of employment, but perhaps the greatest city to benefit from the overabundance of Tyrolean talent was Venice. 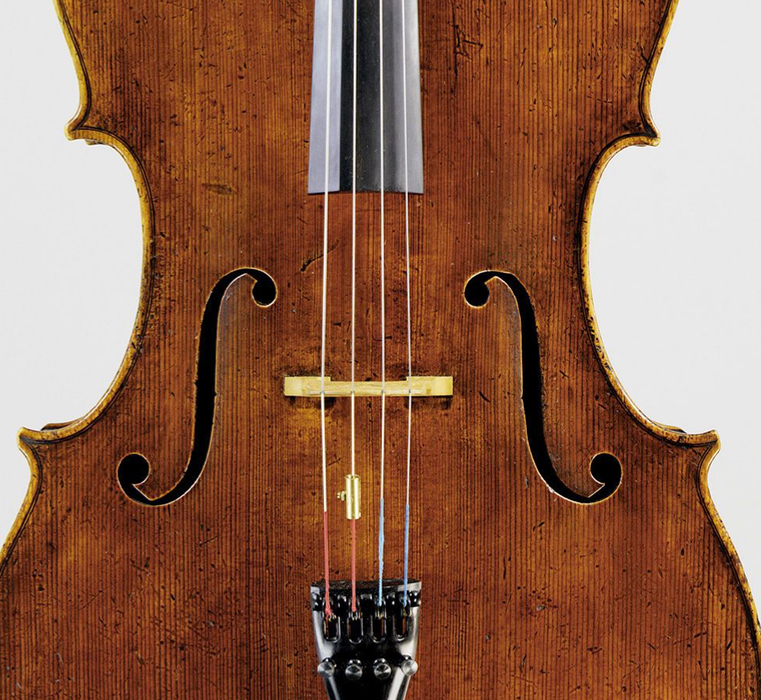 The first of the great Venetian cello makers was Matteo Goffriller (c. 1659–1742), who came from the town of Bressanone in the Tyrol to work for Matthias Kaiser. Kaiser was primarily a builder of lutes and other plucked instruments but Goffriller seems to have specialized early on in making cellos. 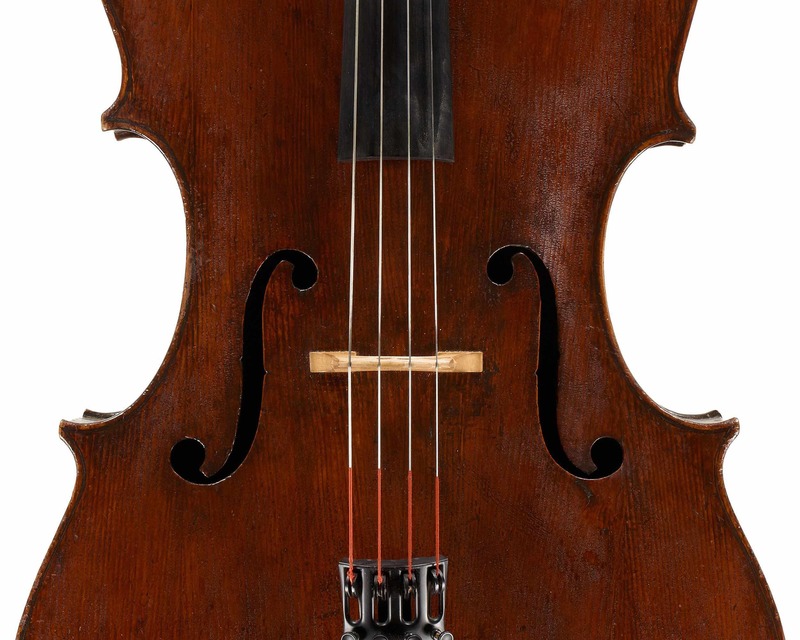 In fact of the instruments attributable to Gofriller the ratio of cellos to violins is approximately 2:3; with Stradivari, in contrast, the ratio is closer to 1:10. 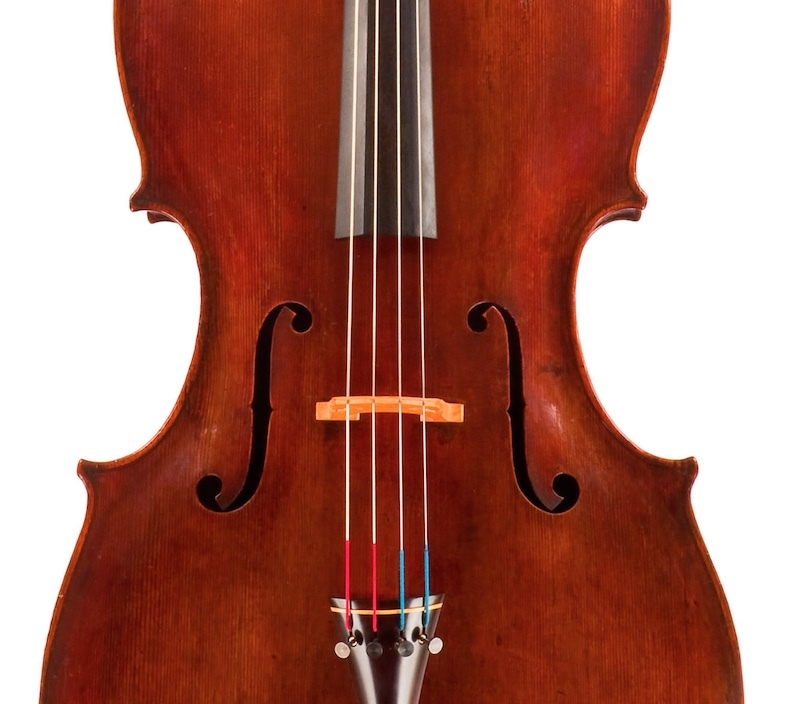 Goffriller’s cellos range from 70 cm small-sized cellos to larger 77 and 78 cm instruments most of which have since been reduced. The outlines of his cellos are highly variable, which together with variations in the shape and setting of the soundholes gives each instrument a unique appearance and personality. 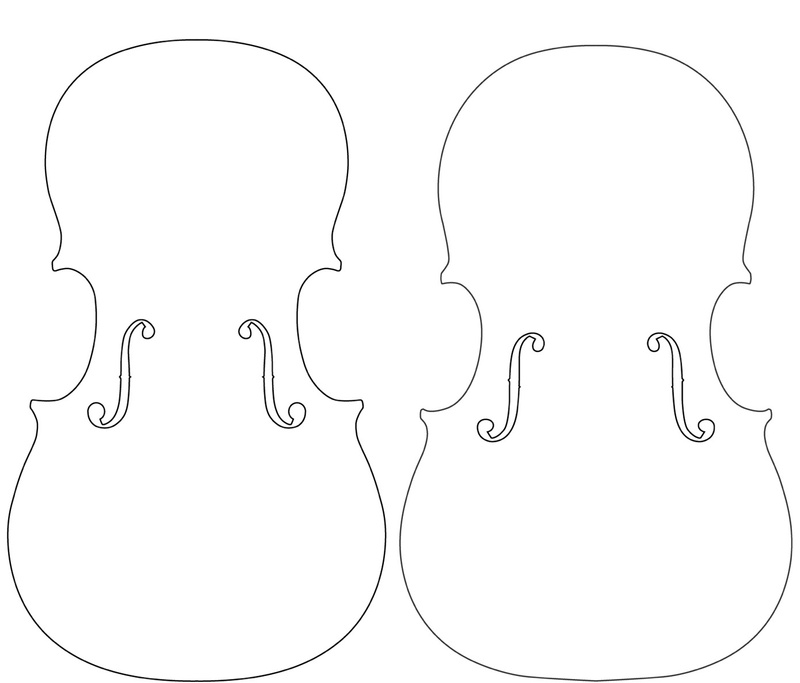 The heads of Goffriller cellos are easily identifiable: long and graceful with a round and slightly diminutive volute standing proud above a tapered pegbox. Goffriller’s varnish is perhaps his most outstanding contribution to Venetian cello making and set the standard for the makers that followed – a rich reddish-brown sauce applied thickly, which after time coagulated into an extremely textured and glorious craquel. Goffriller’s son Francesco succeeded him and made excellent although somewhat more rustic cellos but soon moved outside Venice to Udine. Matteo Goffriller was the presumed teacher of the other great Venetian cello maker, Domenico Montagnana (1687–1750). As Stradivari and Guarneri are to violins, Goffriller and Montagnana are to cellos. 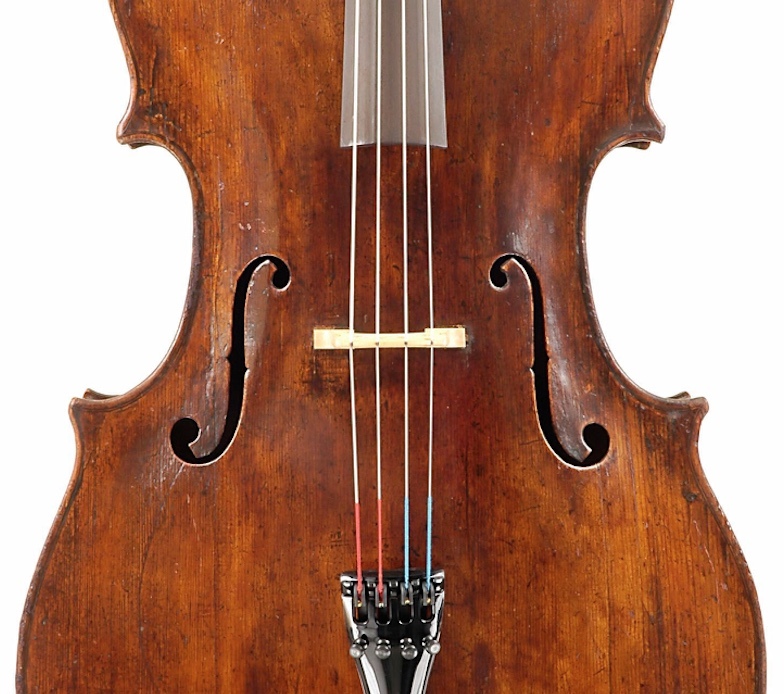 Montagnana cellos are shorter in body-length than Goffrillers but they are considerably broader in the bouts and in the waist, making for a compact, maneuverable instrument with a highly resonant, full-bodied tone. The archings are rounded but modest and never exaggerated. 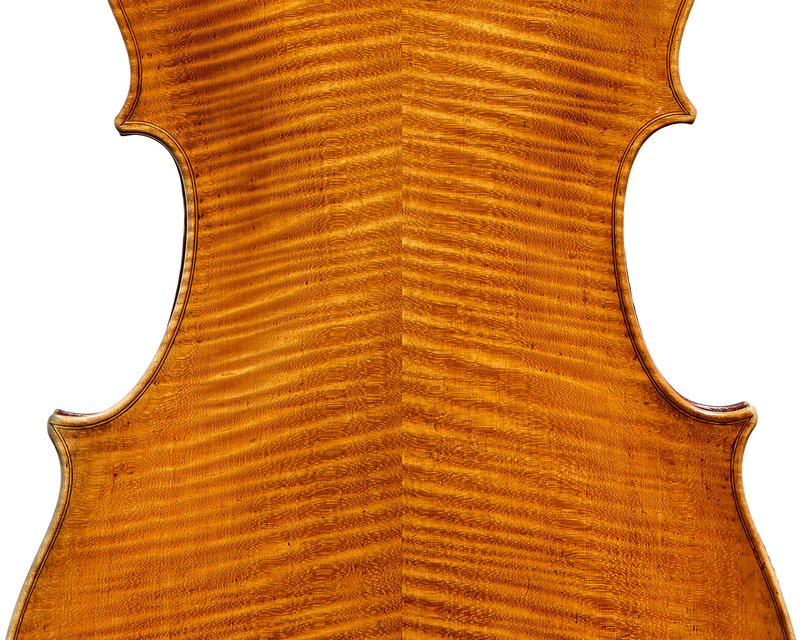 The sound-holes are modelled on an Amati pattern and precisely executed. The maple and spruce are of the finest quality and covered in a glorious rich red-brown craqueled varnish. 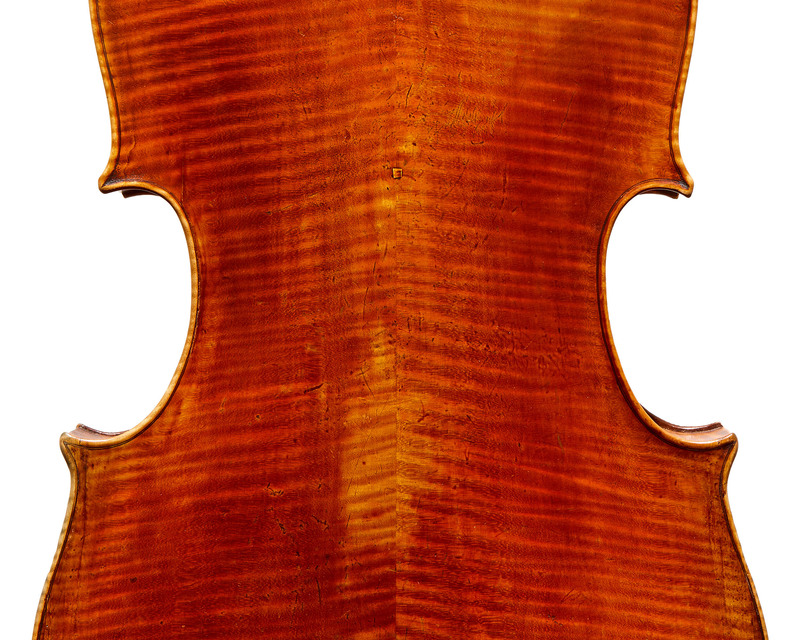 The Cremonese and Venetian violin making traditions have their first intersection when Pietro Guarneri (1695–1762), the son of Giuseppe Guarneri ‘filius Andreae’, came to Venice in around 1717. No doubt this made for some useful cultural exchange of working methods, tools and techniques. In fact it is only after Pietro’s arrival in Venice that we see the widespread usage of such iconic Cremonese techniques as the internal mold and the central pin. Pietro was a maker of exceptional cellos that perfectly fuse the best parts of the Venetian and Cremonese traditions. The workmanship is careful and controlled but graceful and expressive. 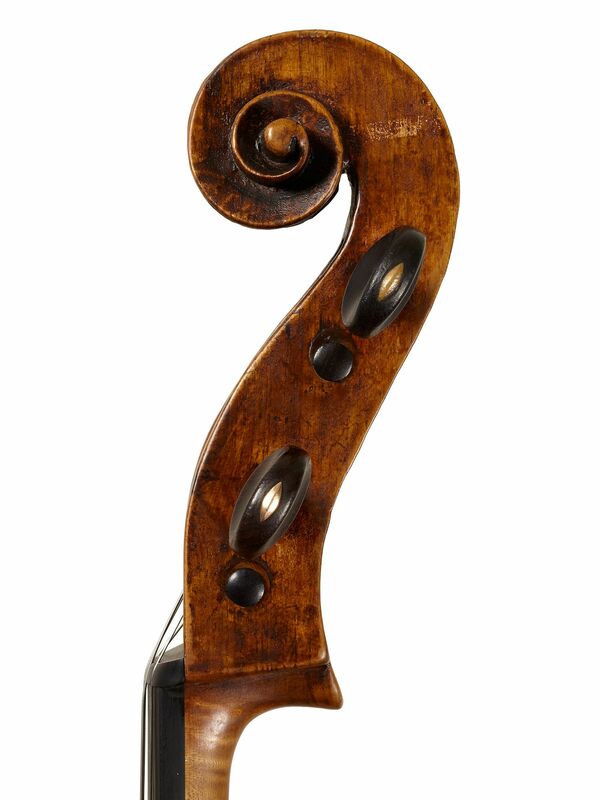 The model is reminiscent of ‘filius Andreae’ but distinctly recognisable with its wide set sound-holes, attenuated stems and high-waisted C-bouts. 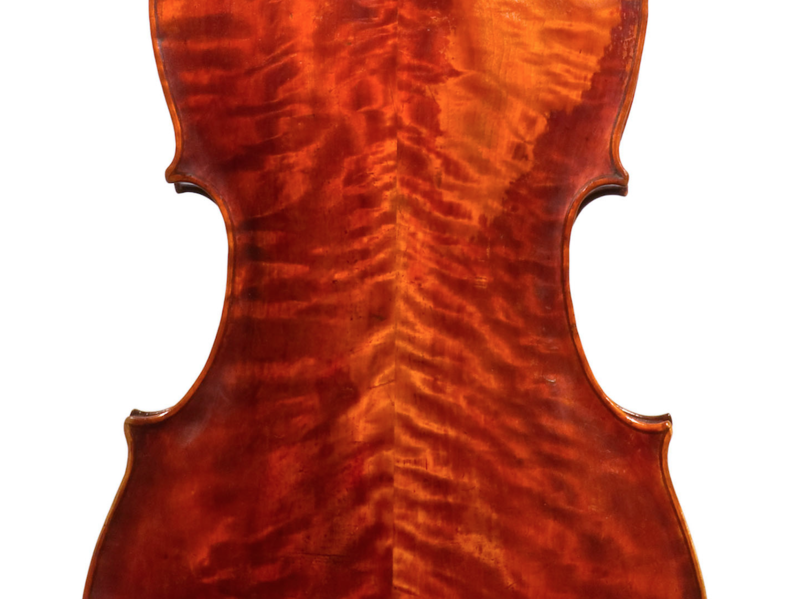 The lavish maple and stunning deep-red varnish make them among the most noble of Venetian cellos. 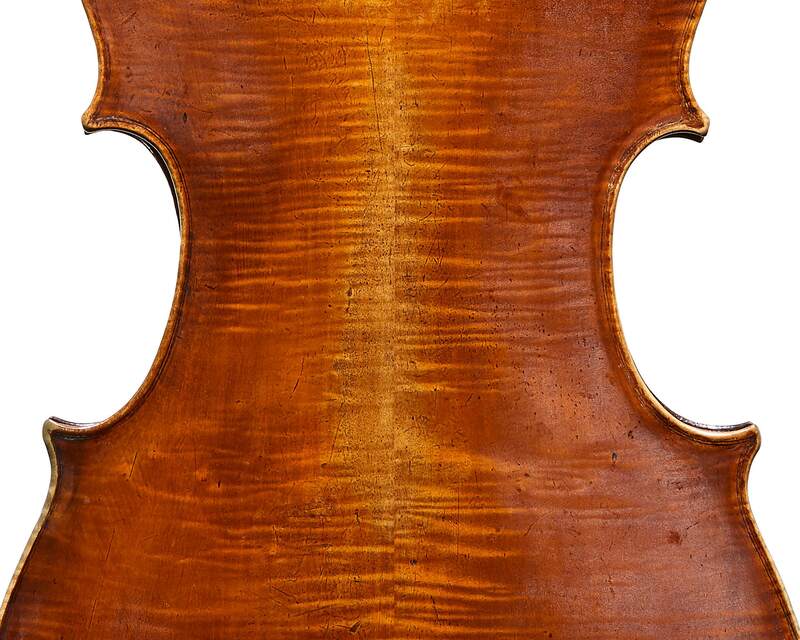 Altogether there are fewer than 15 surviving Pietro Guarneri cellos. 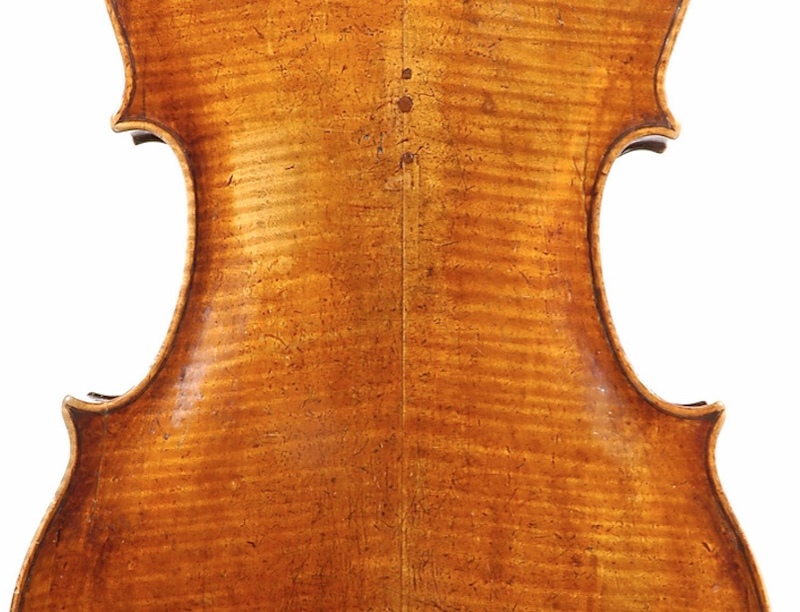 These arguably represent the best cello work of the Guarneri family considering only a pair of cellos have survived from his brother, Giuseppe ‘del Gesù’, and his uncle, Pietro of Mantua. Santo Serafin (1699–1776) arrived in Venice from Udine also in the year 1717. 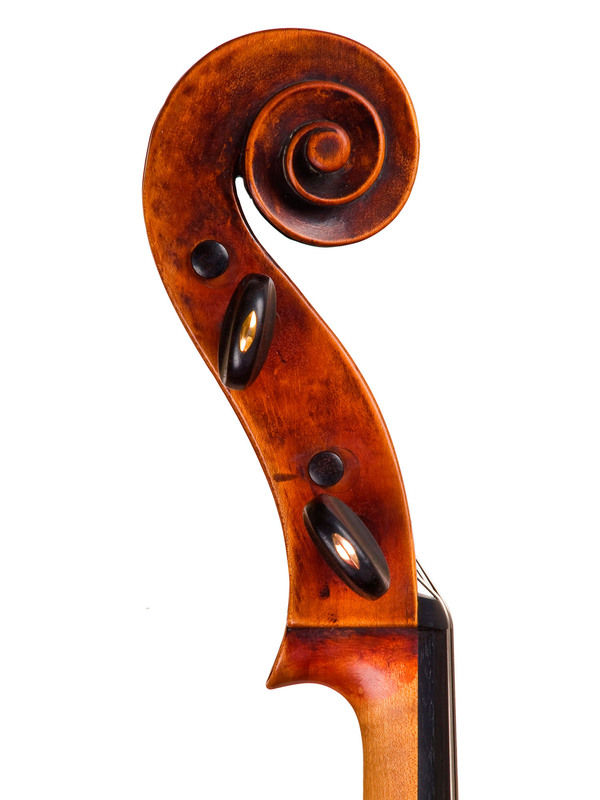 There are fewer than a dozen surviving cellos by Serafin and each is of exceptional quality and craftsmanship. 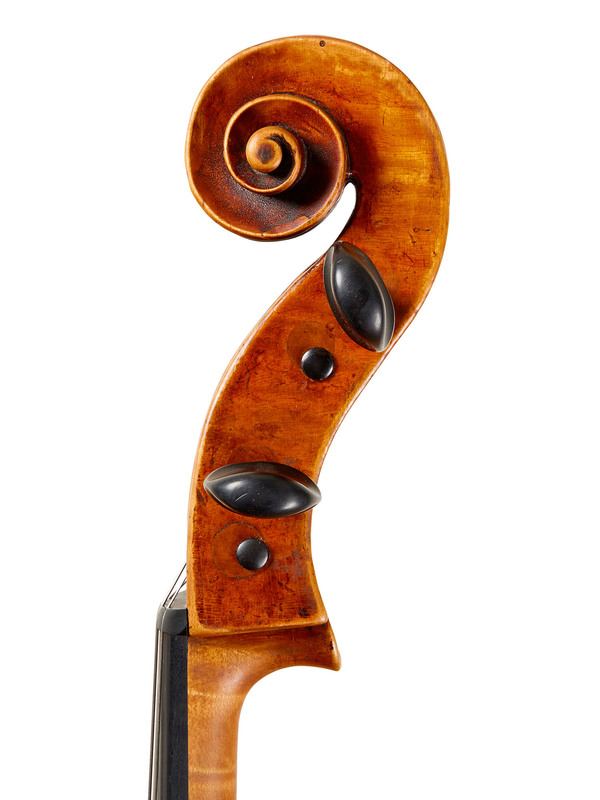 His model shows the inspiration of Stainer in the outline and the head and Amati in the sound-holes, although the back length is a manageable 73–75 cm. The shallow C-bouts and short, pert corners create an effect of compact refinement and graceful elegance. The wood used for the back is invariably of the highest quality quarter-cut maple with a strong, deep figure that was burnished before being varnished so as to create a three-dimensional rippled effect to the touch. In the 16th and 17th centuries Venice was the most important Italian city for the writing and performance of choral, symphonic and operatic music, but Bologna was arguably of greater importance for the development of music featuring the cello as a solo instrument. Cello composers Giuseppe Maria Jacchini, Giovanni Battista degli Antonii, and Domenico Gabrielli all worked in Bologna and wrote some of the earliest highly ornamented virtuosic music in the cello repertoire. Bologna was also an important location for the production of strings for bass instruments and is thought to be the first city to produce wire-wound gut strings. In his 1610 compilation of lute music the English composer Robert Dowland instructed that the best strings for bass instruments were ‘made at Bologna in Lumbardie, and from thence are sent to Venice [and] called Venice Catlines’. 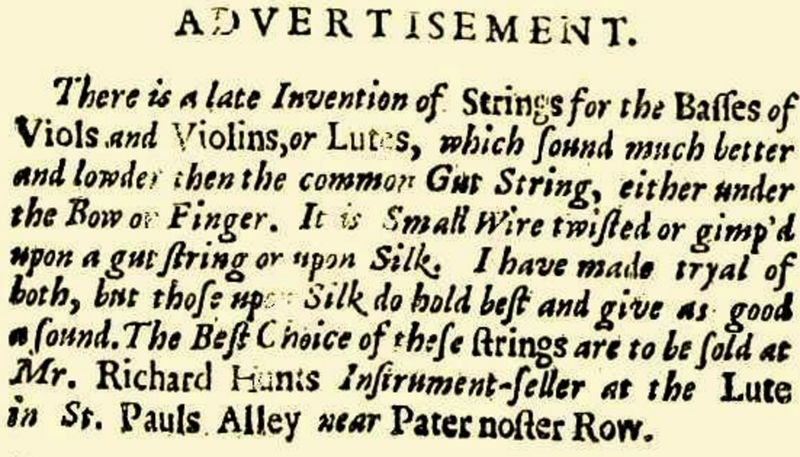 Wire-wound strings first appear around 1660 in Bologna  around the same time that the term ‘violoncello’ was first used explicitly in printed music, also in Bologna. These are perhaps secondary factors but they help to explain why the production of smaller-sized cellos flourished in Venice and Bologna at the end of the 17th century. The Tononi family provides an important bridge between Venice and Bologna. The two principal makers of the family, whose cellos are highly appreciated, are Giovanni (c.1640–1713) and Carlo Annibale (1675–1730). Giovanni Tononi is an interesting melange of different northern Italian traditions. His cellos are built to an Amati model but with strong Venetian influences including a dark red coagulated varnish. He often used beech and ash for his cellos with rather modest pine for the tables. 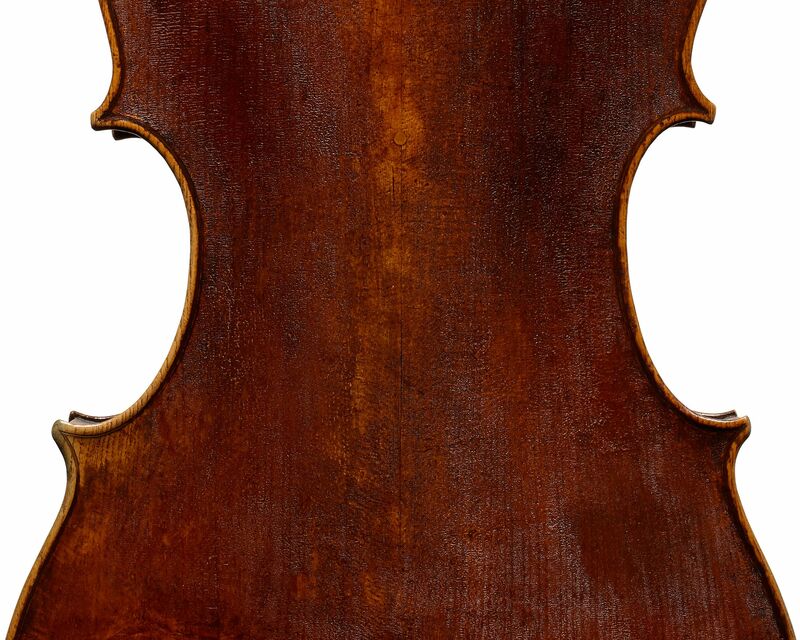 The heads of his cellos are most similar to Goffriller with a small volute and a tapering pegbox. Giovanni’s son Carlo succeeded him in 1713 but left for Venice in 1717, where he was employed in the workshop of Matteo Sellas. Pietro Guarneri was also associated with the Sellas workshop and judging from their work during these years it is evident that there was much sharing of ideas. 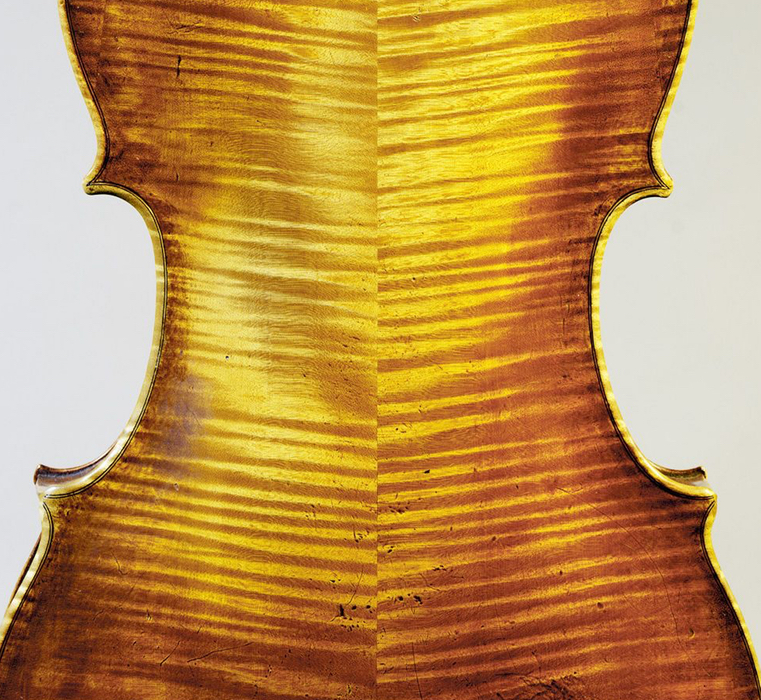 The great 18th-century Roman tradition of cello making finds its roots in the workshop of Alberto Platner, whose assistants included his son Michele (1684–1752), Giorgio Tanigher (c. 1665–1717) and probably also David Tecchler (c. 1665–c. 1747). Originally from Füssen, Tecchler established his workshop in Rome at the end of the 17th century. He is best known for his cellos, which were built on a large and broad pattern with a rounded high arch and an overall very masculine and powerful appearance. Most have since been reduced but some extraordinary uncut examples survive. 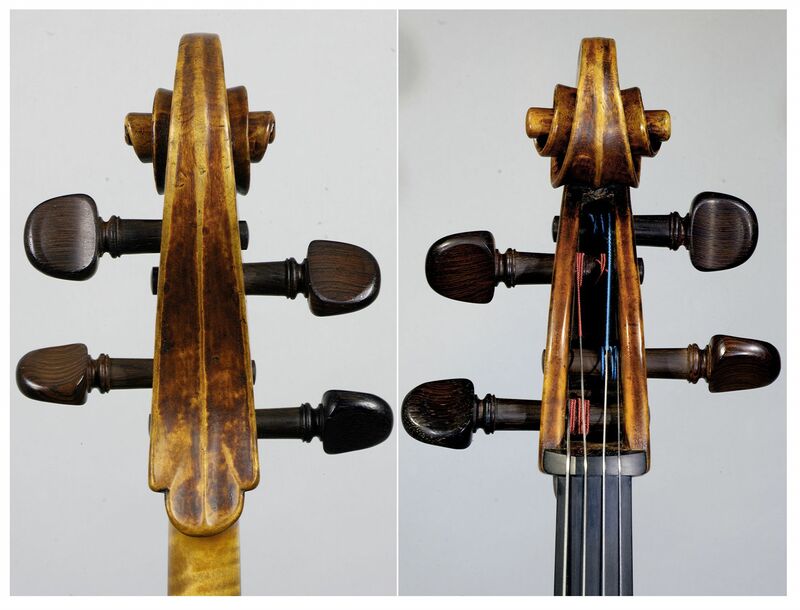 Tecchler’s materials were generally of excellent quality with the cellos in particular often using figured spruce and attractive maple all covered in a distinctive tawny orange-brown varnish. Tecchler sound-holes are a distinctive blend of Stainer and Amati influences with large and often rounded notches, elegant curved stems and tapered wings. They are set wide apart and low in the belly, giving them a unique appearance. The scrolls are also very distinctive with a very narrow width between the ears, a deep and finely carved volute and a chunky eye. Tecchler cellos have long been favoured by soloists for their colourful tonal range and their powerful, commanding resonance. Alongside Tecchler, Michele Platner is revered for his excellent and attractive cellos. 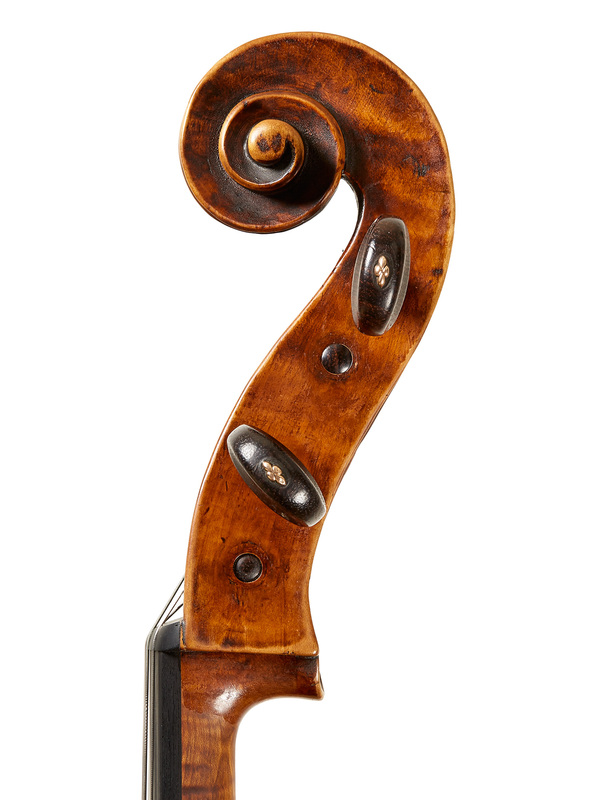 Somewhat more Germanic in styling than Tecchler with slightly rougher workmanship, Platner cellos are found in a large and also a smaller pattern. Platner’s assistant and successor Giulio Cesare Gigli (c. 1724–1794) made cellos in the style of Platner’s smaller model. 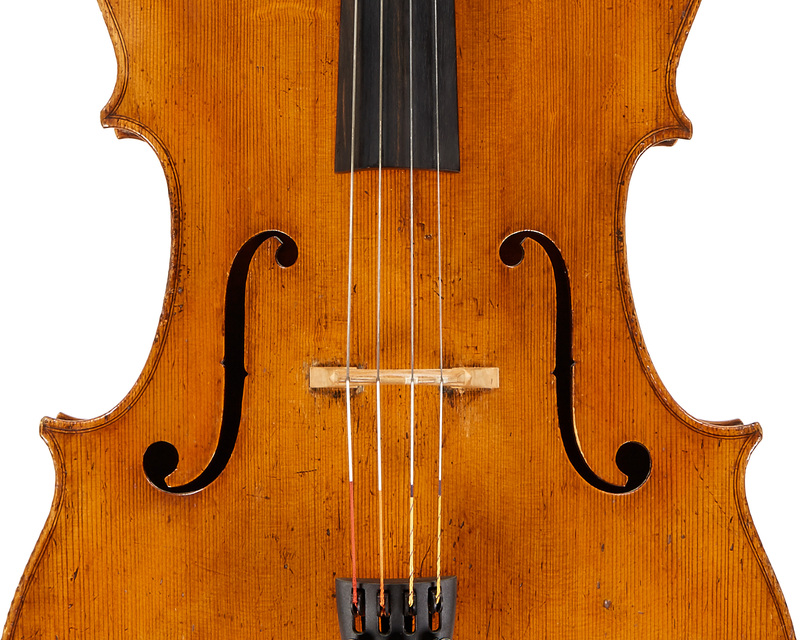 And so by the end of the 18th century, smaller-pattern ‘violoncellos’ were being made almost universally throughout Italy. 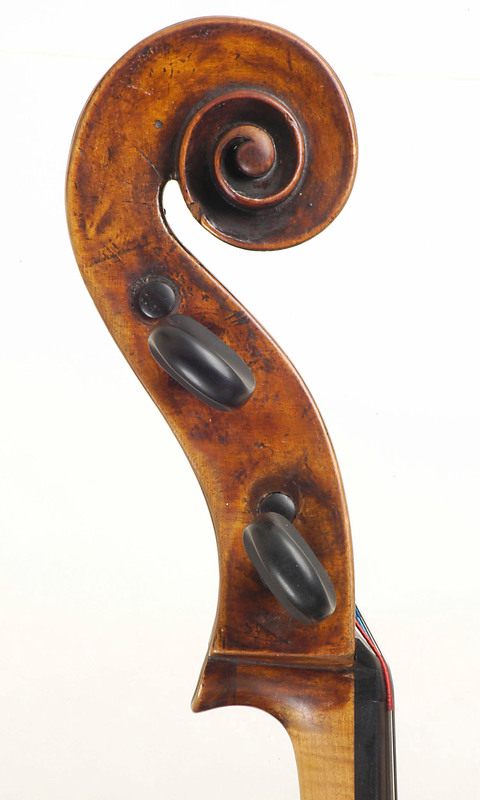 The great makers of the late 18th and 19th centuries would make their own experiments, such as the smaller body lengths of Guadagnini, the distinctive slanting sound-holes of Storioni and the wide bouts of Pressenda, but by 1730–1750 the cello had reached an accepted form and function that has continued more or less unchanged to the present day. 1. Smith, Douglas Alton. A History of the Lute from Antiquity to the Renaissance, Lute Society of America, 2002. 2. Pio, Stefano, Violin and Lute Makers of Venice (1640–1760), Venice Research, 2012, p. 104. 3. Dowland, Robert, A Varietie of Lute Lessons, Thomas Adams, London, 1610, p. 13. 4. 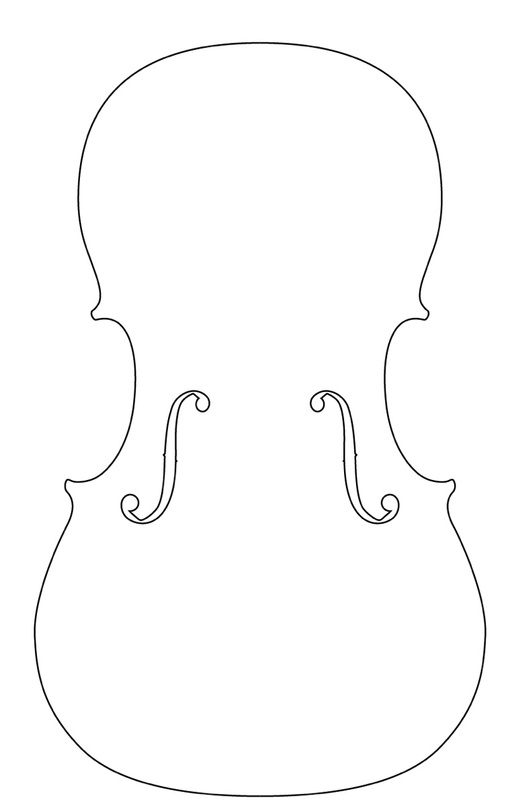 Bonta, Stephen, From Violone to Violoncello: A Question of Strings?, Journal of the American Instrument Society 3, 1977. 5. In Giulio Cesare Arresti’s Sonate op. 4 (Venice, 1665).